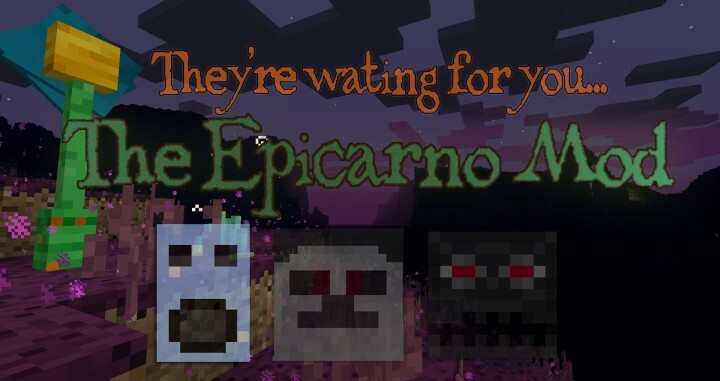 Mystical Epicarno Dimensions Mod - A New World full with bosses and temples for you to explore! Not everything in the mod is covered in this post and some information could be outdated! Notice: Overworld tools CAN NOT mine Epicarno ores. The 1.1.4 update adds a lot and changes a few things. To explain this update I will be making a video. This is the last update till after my exams, my last hurrah. - New Sundering Stone & staff that can be upgraded by equipping the Sunderers's Suit. - Moon Water pools that can be used to fetch buckets of moon water for washing ores in the moon washer. Polished moon stone is created by putting 4 moon stone in a crafting table. If you cannot get the mod working old versions are up on the curse forge page. Please go to curseforge for the lastest updates and information, it's very hard for me to update the post here and covert between HTML and bbcode, the post at curseforge may be easer to read. 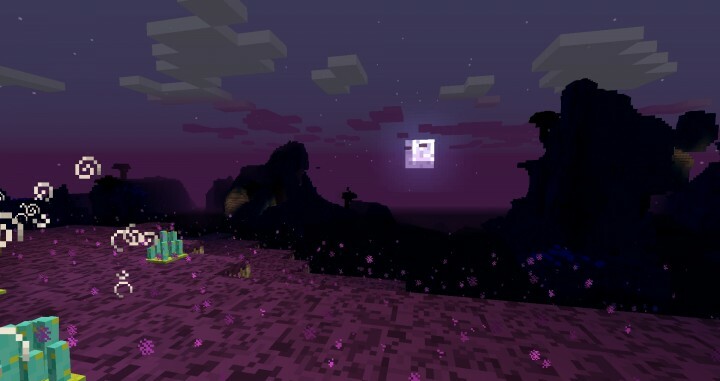 02/04/15 - Major entity/mobs lag fix (version 1.1.1.2) everything should be working now. Hello! 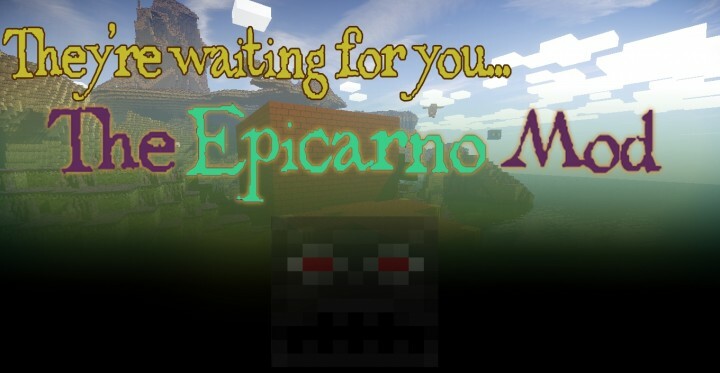 Welcome to The Epicarno Mod for minecraft 1.8. 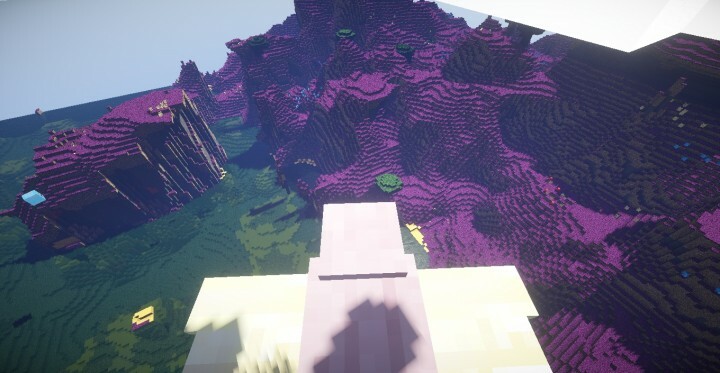 This mod adds a whole new dimension, complete with bosses temples and a whole lot more! In this post I am going to try to explain and show everything but I'm not great at making posts, writing and explaining (so wish me luck). Please note I have left a good few items and blocks out of this post as the amount is just too damb high. mod, your normal world will not be changed. Lantern walk into it and some magic stuff happens and your there. You are given 2 glowstone lanterns, one to get in and one to use to get out. can't be that bad (can it?). Attack: Weak (for a boss) but slows you down. This one is more of a mini-boss. It's attack is not that bad, however watch out for the black ice and the minions. found from the temples to create information (used in some crafting). Info: A Diamond sword combined with a soul creating a living sword! Downside: Half your current health taken every hit. health you would die after 3 hits). Upside: Sets enemy on fire. Downside: May set you on fire. Downside: It's a heavy sword, it slows you down. Downside: Arrows are invisible. It's harder to aim than a normal bow. They are staffs, that spawn TNT. Tier 3: Relic TNT (more uses). Quite a bit better than other tools, pretty hard to craft. Bog standard wooden tools, made from Amboyna wood from the Mystical dimension (they are 0.1 worse than stone tools). These tools are fine tools. They are crafted with ruby gems (pretty common). Really nothing much, these are just like stone tools and bluetack is very common. Simply the best armour, you won't even feel some of the lower tier mobs. If you want to kill some bosses use this or not. A fine set of armour crafted from blocks of epicarno, not as good as mythril but still a great set of armour. Nothing wrong with a good old set of ruby armour, however ruby is pretty common so this armour is not the best. Note: Right click to fly on one. Info: Will talk up to and self destruct, causing no harm to you or the world. Attack: A bit worse than a zombie and it also confuses and binds you Note: Avoid if possible. Attack: It does the best it can to hit you with a snowball, it never does. 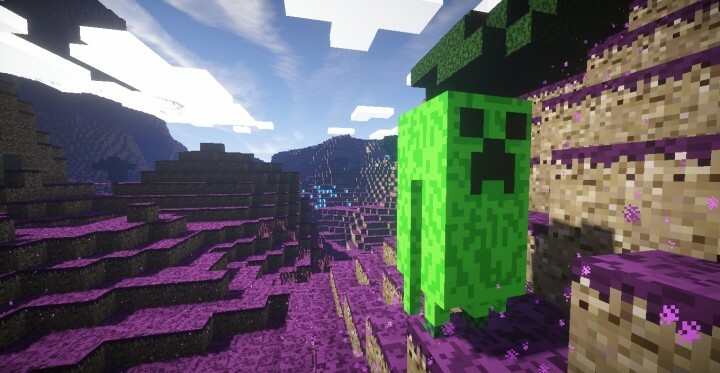 Notes: Fully original mob the blowing up thing was my idea never seen before in minecraft. Info: Pretty rare mob, can be found in dark places. Main Uses: Amboyna Planks and sticks. Main Uses: A lot of random stuff. Main Uses: A few random things. Main Use: No clue? What even is i-ron? Main Use: Power Fuel (A Fuel). Nummyness: Fills a bit of food but mainly works like a Golden apple but can give (mainly) good and (minor) bad effects. Nummyness: Gives a random good potion effect when you drink it. Nummyness: Very fills a good few hunger things. Nummyness: Not that nummy however it is very common. Nummyness: Twice the nummyness of a normal pink berry (about one hunger thing). This furnace will only work with Epicarno fuels (epicnite and powerfuel). It will smelt items 4 times faster than a normal furnace. Note: Epicarno Fuels used in a normal furnace will burn out before even smelting 1 item. A very simple concept, this machine that is powered with moon water will wash an ore, giving two ore lumps that can be smelted into an item or ingot. It is currently not finished as due to limits/issues with forge on minecraft 1.8 I cannot at more water as a fluid yet so moon water buckets have to be crafted. In newer updates Mystical cobble stone has been replaced by Polished Moon Stone. Some crafting has changed due to 1.1 update - post changes coming soon! cannot be crafted (or have be covered else where on this post)! No Ad-fly I'm making nothing off this. 1. Download & install minecraft forge 1.8 version 11.14.1.1344 from here. 2. Follow the simple install instructions or Google it. 4. Place the mod jar in the mods folder (that's in %appdata% .minecraft). 4. Place the mod jar in the mods folder of the server. - Added some new crafting & smelting recipes. I do not mind about videos. If you want to add it to a mod pack message the name & link to your mod pack so I can check it out, other than that I will not stop you from using it in a modpack. Thank You! 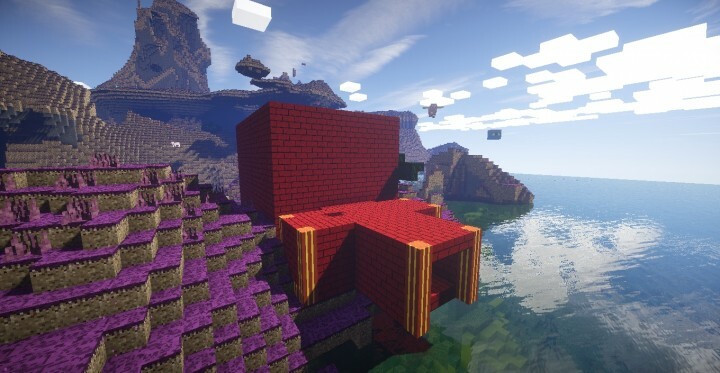 Sorry about the 3 year delay on this mod release (I first made this mod for minecraft 1.4.7 finished it but never released it as 1.5 came out and I did not know how to port it, anyway this one is better and has more cool stuff) Btw my last mod was the Not In Minecraft Mod for 1.4.7 (you don't want to look at that it's old and crappy now). I LOST MY BEST SURVIVAL WORLD EVER BEACAUSE I SPAWNED IN A FREAKING MOUNTAIN AND BECAUSE YOU SPAWN RANDOMLY IN THE DEMENSION I CAN NEVER GET BACK. EVER!!!!!!! what is the config file name of this? This is very minor. The new Forge b1405+ actually tells us which textures a mod is missing. Really sorry, I have thought about this and I would if i could but it would mean starting over. The illuminati was a religon. . .
Good mot but I wish I didn't need spruce wood. For the Glow Stone Lantern. Sorry for being inspecific. You don't need spruce wood it's just showing you that you can craft it with any wood. This changes everything! And I just thought it'll be cool if the dimention had it's own set of fish you could catch. PM me a crash report and I can help you. ﻿Nice, please add hoes that's what I don't like about mods like this and nevermine, because I end up with lots of the new ores but then have to go back to the overworld to go mine some iron. I may add hoes, but you don't need to get iron from the normal world. If you look there is "Mystical Iron Ore" that can be used to make all iron stuff, even a hoe. Congrats on the move from MCF! Any possible way you can use some type of spoilers in the overview page? by that I mean, a way to hide/expand vast sections of what the mod is offering! Also, what about adding a section telling folks where they can play your great mod with other people without having to setup their own server? Yep! It's a me, Kreezxil-Oh! 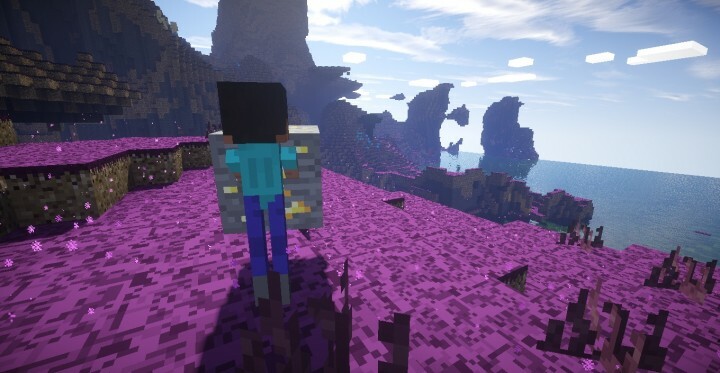 A note to anyone who downloaded the mod today you're using a old broken version as this post was very old please safely dispose of the old version and update the mod. Also please use curseforge for any mod information/ updates that's where it will go first.